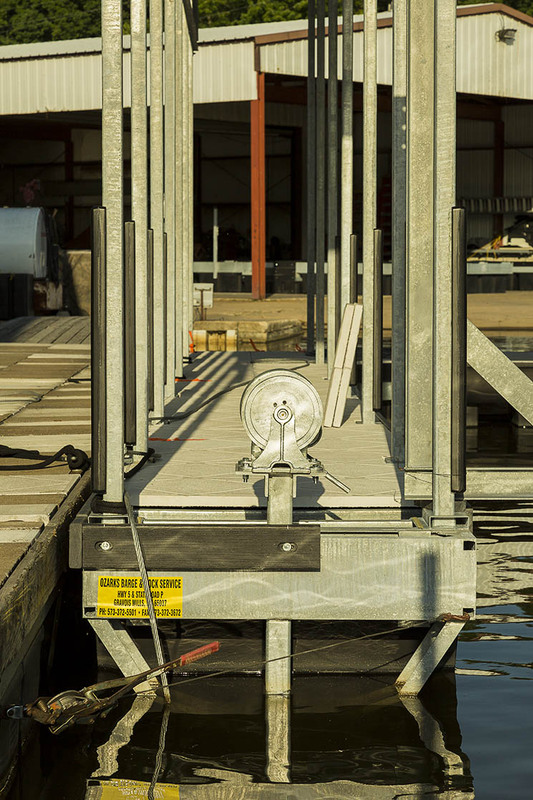 From standard dock features to a customized features to build the dock you want. 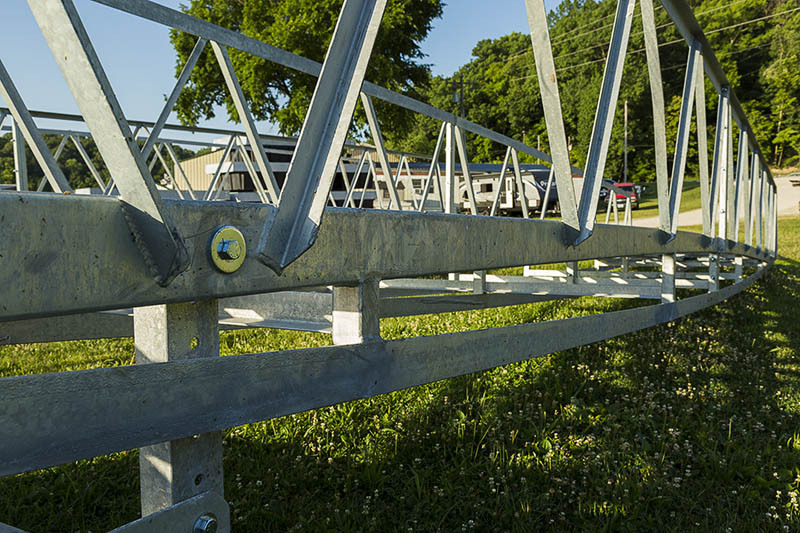 We keep your dock tough to handle the Lake and are there when things get rough. 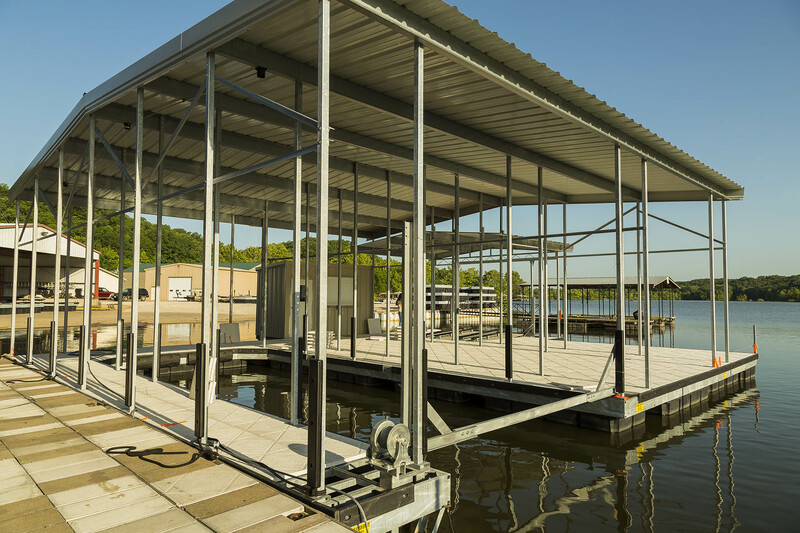 Let us handle the disassembly and relocation of your dock. 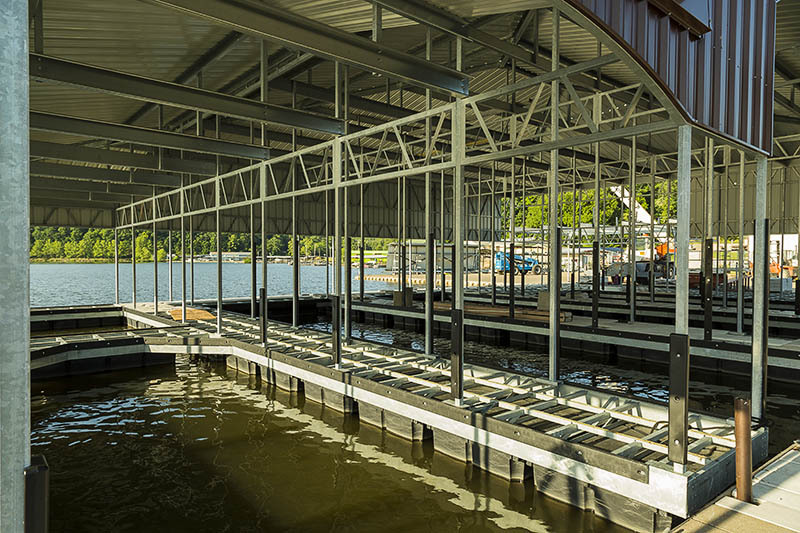 After 30 years of working on the Lake of the Ozarks, we’ve got the formula to a tough dock that can handle even the roughest water. 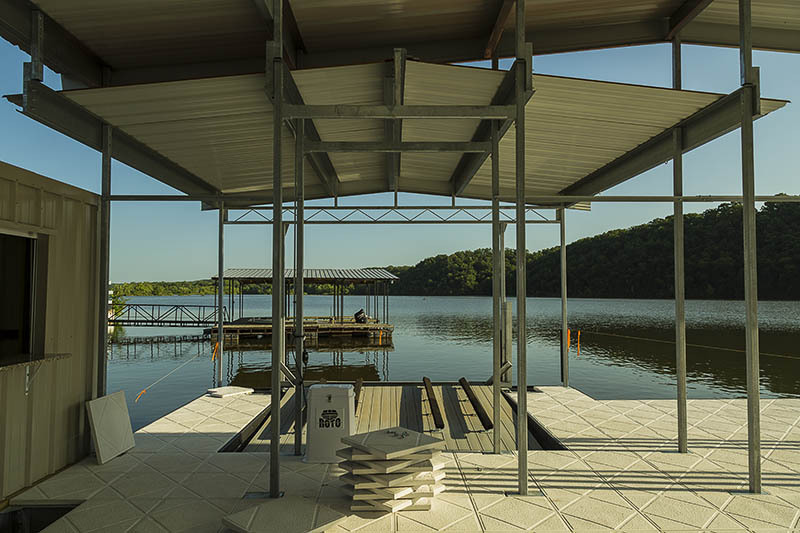 Features to build the custom dock of your dreams. 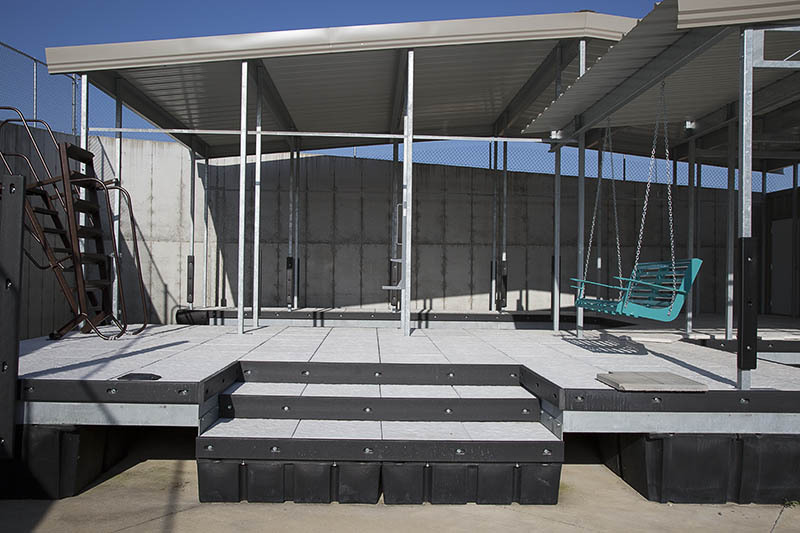 Be ready to entertain while being able to maintain secure storage on your dock. 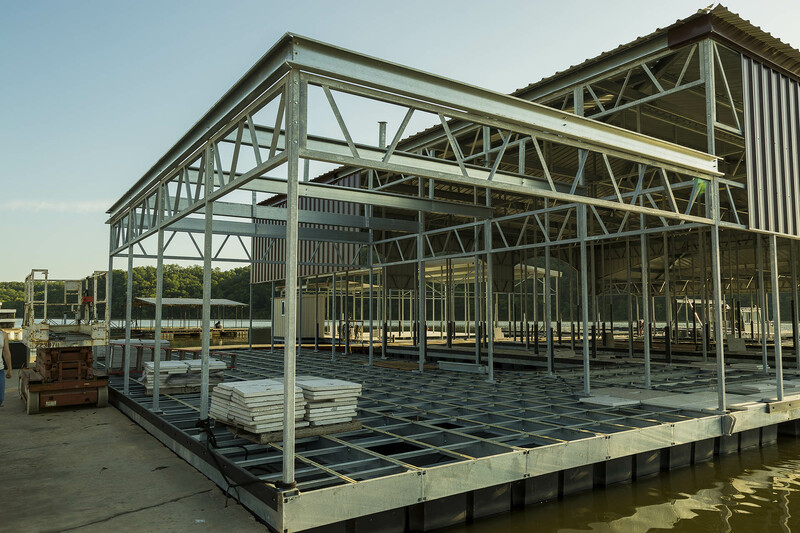 Provide the perfect oasis on the Lake with space for little and big kids alike. 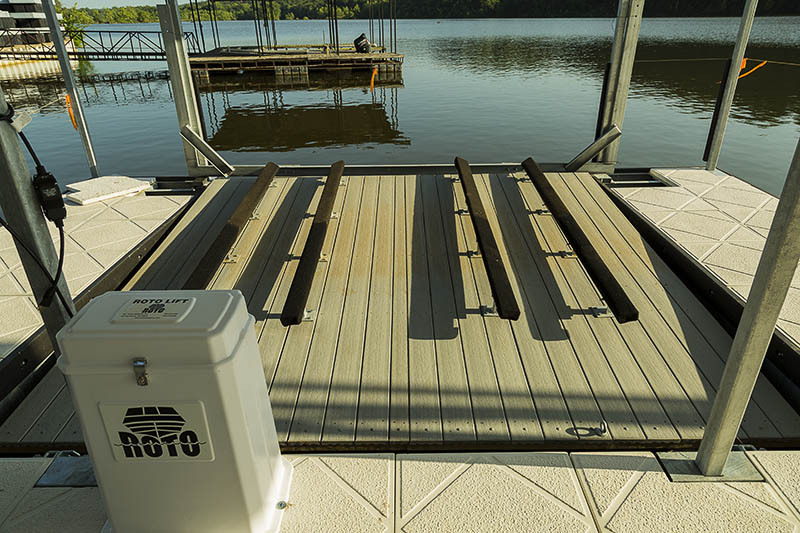 Keep everything you need stored securely on your dock. 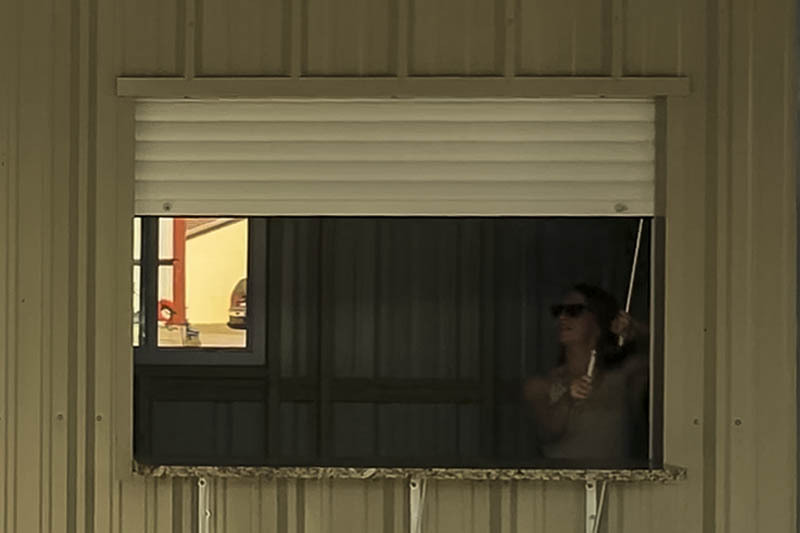 Store your favorite water toys safely on your dock. 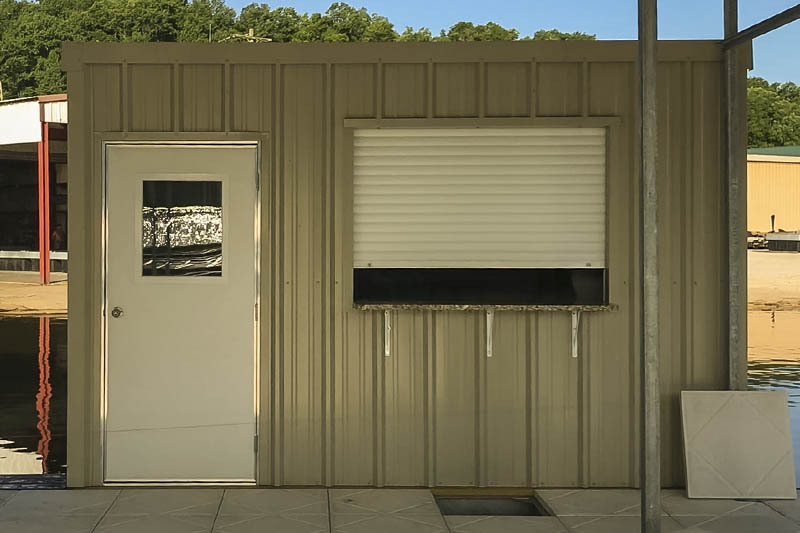 Customize with different structural roof styles and material finishes. 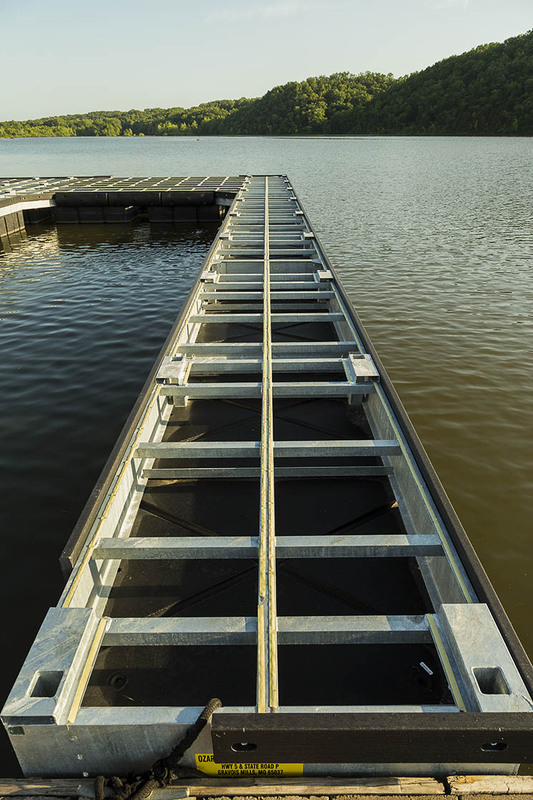 Make the Lake accessable to all with wide stairs to the water for easy in and out.